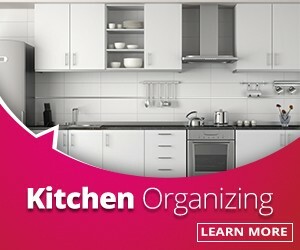 Did you know you can go shopping in your own house? Why leave the comfort and convenience of your own home to get what you need when you can use the power of zones to create areas in your home where you can shop for the things you need. 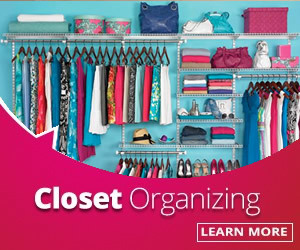 In organizing language there is a term used to describe a zone that some of us call, “The Costco zone.” This is where you put the overflow items that don’t easily fit in their designated homes. Paper towels, toilet paper, extra cans of soda, extra cleaning supplies and light bulbs would be a good example of items that would go into the Costco zone. The similarity between these items are that they are ones needing frequent replacement. If you keep them well stocked, then you will save yourself time and money from having to go out and get it each time. But don’t hoard so much of it that you can’t fit any overflow items into your overflow zones. That would just be plain ironic. Sometimes my clients have overflow of such things like home decor, dinner/serving/cookware used for entertaining, gift wrapping supplies, bedding, and photos. These are where having an overflow zone would come in handy so you don’t tie up your valuable real estate (easy to access areas) with things you don’t hardly use or use only on specific occasions or times of year so you can make room for what you do need to access the most. Garages are great for these items or sitting up high on top of something like a shelf. 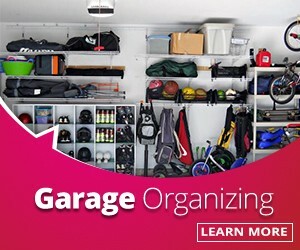 If you don’t have a garage and high areas to place your overflow items and are not willing to downsize your overflow items or at least make room in other zones to accommodate them, then I hate to break it to ya, clutter and disorganization will probably be what you live with. Creating overflow zones has the added benefit of allowing you to “switch out” your belongings from time to time. Maybe there are certain colors, decor, pictures, furniture, kids toys and kitchen appliances that you may only want to use at certain times of the year. So when that time of the year comes you don’t have to go shopping every time to get what you need and love to use because you already have it stored in your overflow zone. Plus you can also possibly re-purpose it. That vase you love having on your kitchen table during the spring, when next Spring rolls around maybe you would rather see it on your outdoor patio table. Then it feels almost new and you fall in love with it all over again. Notice I said, “Love and use?” It’s easy to justify holding on to something because you think you need it, but did you ever stop to ask the question “Even if I did use this, do I love looking at it, using it and how it makes me feel?” If you can’t say yes to all three then more than likely you won’t use it all. I don’t expect you to say you love looking at toilet paper when you use it, but I think you get my point. Make sure the items you are putting into your overflow zones still fit into the categories of love it and use it. Your home will thank you for it. 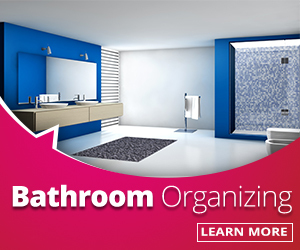 For a simple plan to set up and organize your bathroom overflow zone, visit my do it yourself coaching and project planning services page to learn more about my project planning service for do it yourself organizing projects.